Packaged in handsome, affordable trade editions, Clydesdale Classics is a new series of essential works. From the musings of intellectuals such as Thomas Paine in Common Sense to the striking personal narrative of Harriet Jacobs in Incidents in the Life of a Slave Girl, this new series is a comprehensive collection of our intellectual history through the words of the exceptional few. 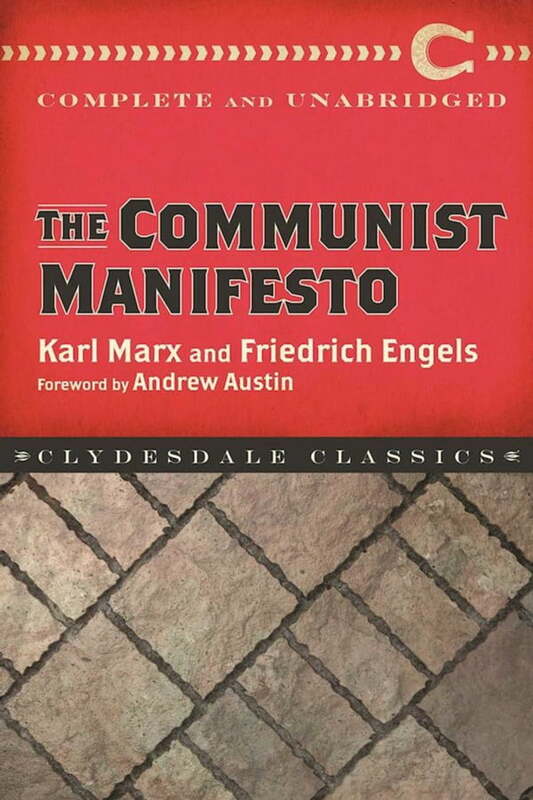 Originally published as a political pamphlet in 1848, amidst the revolutions in Europe, The Communist Manifesto documents Karl Marx and Friedrich Engels’s theories on society and politics. It does so by defining the state of the class system in contemporary Europe—in which a larger, lower class is controlled and oppressed by a tyrannical, oppressive upper class. The Manifesto argues that, at some point in history, the lower class will inevitably realize their potential and exploitation and subsequently revolt. Once this occurs, Marx and Engels argue, there will be an uprising among proletariats that shifts political and economic power, ultimately resulting in the dismantling of class systems and capitalism. Additionally, in the Manifesto, Marx and Engels also predict the future state of the global economy and discuss their viewpoints on private property, while also addressing many other topics pertinent to today’s world. Although written nearly 170 years ago, The Communist Manifesto is still widely read and cited. Amid the current turmoil between social classes and the societies of the world, its revolutionary prose and ideas can still yield ripe food for thought.